This perfume is named after the famous American painter. It can be described as a classical a..
Gloria Vanderbilt is an artist, actress, designer, author, socialite and heiress from one of America's most prominent families of the 19th century. Her great-great grandfather Cornelius Vanderbilt established tremendous wealth in the shipping and railroad industries.Vanderbilt worked as a fine artist for a number of years, before turning to commercial art and design. She began designing for Hallmark greeting cards in 1968, and for Bloomcraft, a textile manufacturer, as well as designing table wear. Her first foray into fashion was a series of scarves for manufacturer Glentex, which led to an offer to design jeans from Indian businessman Mohan Murjani. The designer jeans craze of the late 1970s was kicking off, and the tight-fitting jeans with Vanderbilt's signature in script, as well as her swan logo, were an immediate success. 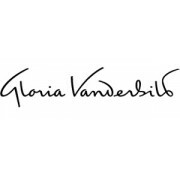 Vanderbilt sold the rights to her name to the Murjani group in 1978, and launched her own fashion company, GV Ltd.Gloria Vanderbilt partnered with L'Oreal on a series of fragrances between 1982 and 2002. The first scent, signature Vanderbilt for women, was a popular mass market perfume in the 1980s.Designer Gloria Vanderbilt has 14 perfumes in our fragrance base. 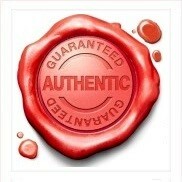 The earliest edition was created in 1982 and the newest is from 2012. Gloria Vanderbilt fragrances were made in collaboration with perfumers Laurent Bruyere, Sonia Constant, Christine Nagel, Francis Kurkdjian, Sophia Grojsman, Olivier Pescheux and Olivier Gillotin.